Bardstown, Kentucky, is a place whose name rings loud and clear to Bourbon aficionados all over the globe. Just 40 miles southeast of Louisville and 65 miles west of Lexington, Bardstown sits right along the Bluegrass Parkway in the heart of Bourbon Country. More formally known as The Bourbon Capital of the World®, Bardstown houses some of the world’s leading bourbon distilleries, as well as a number of newer, craft distilleries. As such, Bardstown also lays claim to several stops along the official Kentucky Bourbon Trail®, a regional tourism experience that exposes visitors to the craftsmanship and tradition of the state’s signature spirit. Bardstown is truly the town that bourbon built, but don’t let that fool you – there is still A LOT to love about the beautiful small town of Bardstown *in addition *to all the tours and tastings! So, go ahead. Get to know Bardstown beyond the bourbon. As shocking as this may sound, bourbon isn’t the only adult beverage made in Bardstown. It’s true! Nelson County is home to a number of local wineries, many of which specialize in making fruit-based wines. And just like bourbon, these wineries’ products vary in flavor because they’re made from a wide variety of locally grown blueberries, blackberries, cherries, and more. During summer’s peak berry season, be sure to visit McIntyre’s Winery & Berries, where you can pick your own juicy blackberries and blueberries in addition to sipping on the fruits of their labor. Bullitt’s Winery and Bistro is another popular wine destination in the region, where guests rave about mouth-watering pizzas paired with world-class wines. No matter which winemaker is on your list, you can expect to be greeted with genuine Kentucky hospitality and leave with at least a few new friends. 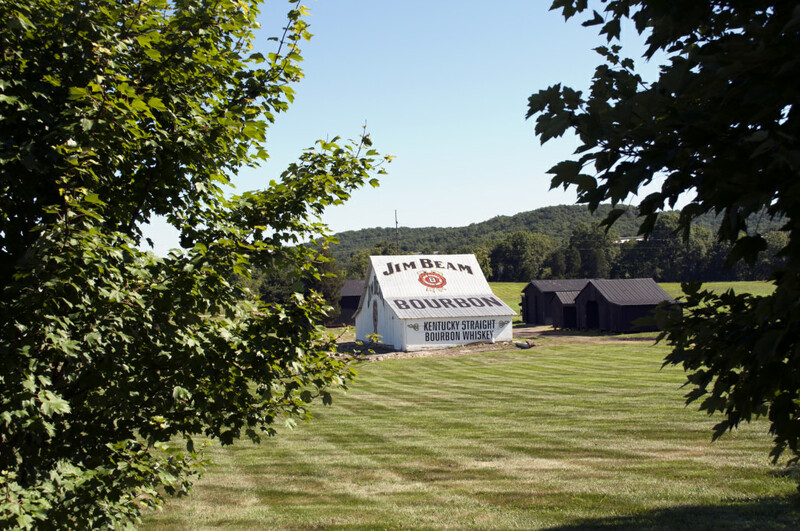 Take a stroll past the Jim Beam barn. On the outskirts of Bardstown’s historic downtown, visitors should explore Bardstown’s peaceful, natural beauty. If you can’t venture too far, check out the Bardstown Community Park at the end of East Halstead Avenue. There, you’ll find an array of fun activities happening year-round, like an awesome free concert series, and it’s just down the block! If you’ve got a little more travel flexibility, a mere 15 miles northwest of Bardstown, right near the Jim Beam American Stillhouse, is the Bernheim Arboretum and Research Forest. Featuring Kentucky scenery at its finest, the national forest covers more than 15,000 acres with over 40 miles of hiking and biking trails to boost your energy levels. Be sure to check out the elevated Canopy Walk and climb the 961-foot fire tower to get the best views. Wrap it up with a visit to the LEED-Certified Nature Center, where you can take a peek at the Edible Garden and hit Isaac’s Cafe to sample the flavors of the forest’s produce bounty. Take a step back in time at My Old Kentucky Home State Park. For tourists and Kentuckians alike, there is little more directly connected to the heritage of Kentucky than My Old Kentucky Home State Park. Yes, the one and only “My Old Kentucky Home” from Stephen Foster’s legendary pre-Derby ballad. Take a tour of the mansion and grounds to view the property’s rich collection of period pieces, historical artifacts, and vintage furniture. Don’t know the words to the Kentucky state song? Don’t worry, every visitor is serenaded with an enthusiastic rendition on every tour, every day. And if the one song isn’t enough to quench your thirst for Kentucky, take in The Stephen Foster Story, a musical that has been performed in the outdoor amphitheater by The Stephen Foster Drama Association for 60 years. And just in case you’re not into the Derby or the origins of a state folk song, My Old Kentucky Home State Park is also home to the Kenny Rapier PGA Course. So, grab your clubs and tee off in the Bluegrass State on this 18-hole course that first opened in 1933 and has been an exciting destination for golfers from around the globe ever since. 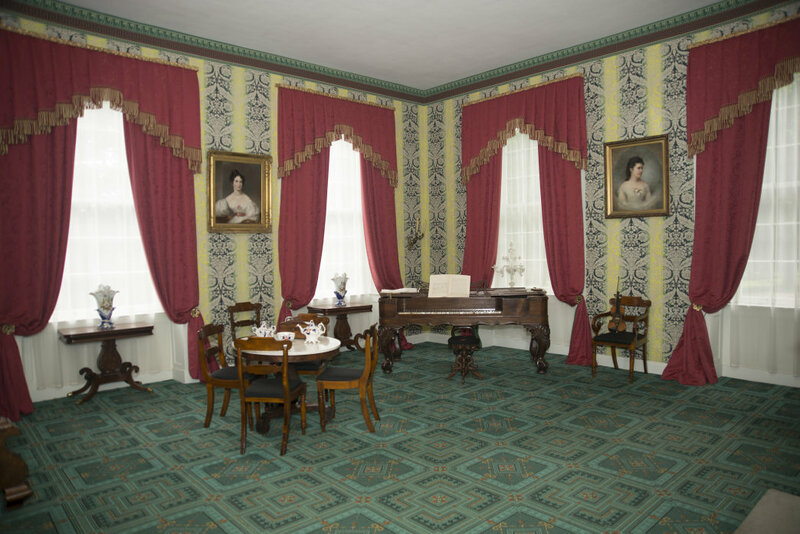 The historic Wickland mansion is also known as the Home of Three Governors. 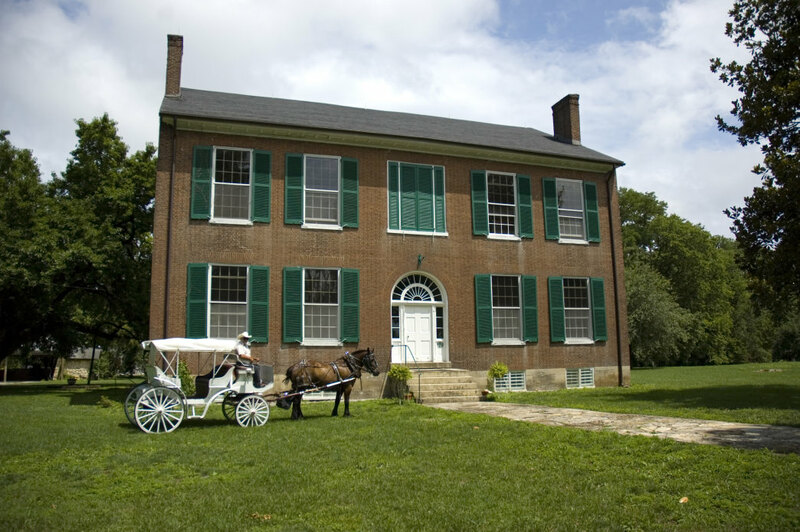 A pair of pioneering brothers named David and William Bard were the first to settle in the Bardstown area in 1785. It was originally known as Bard’s Town (and Baird’s Town and Beards Town), but the village formally established itself as Bardstown in the early 1780s and was later incorporated by the state assembly in 1838. It is the second oldest town in Kentucky. 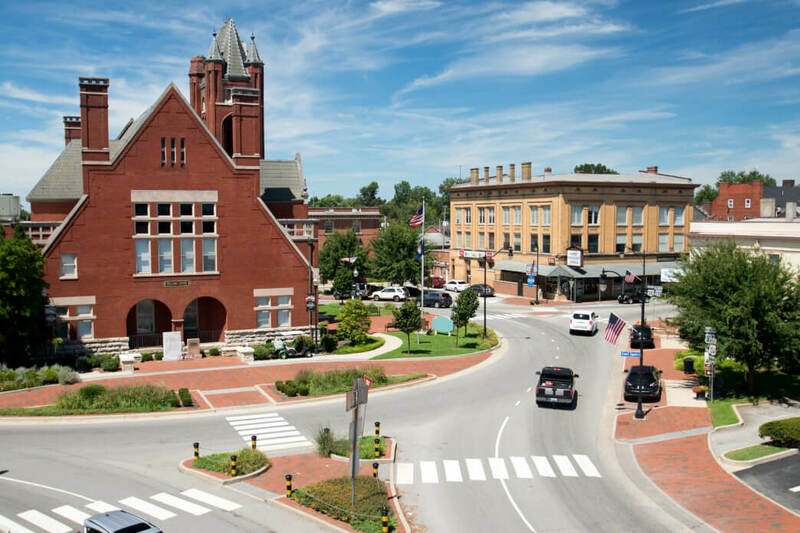 With more than 300 individual structures recognized on the National Register of Historic Places, the Bardstown Historic District is formally listed as a top-tier destination for history buffs. You may notice the influence of the Roman Catholic Church as you walk around Bardstown. Initially constructed from 1816 to 1819, the Basilica of St. Joseph is the Proto Cathedral and the first cathedral built in America west of the Allegheny Mountains. The church still holds weekly services. Around the time the church building was finished, the Old County Jail was also constructed. Operational as a jail until 1987, it’s now the Jailer’s Inn Bed & Breakfast, and you can even spend the night in one of the old jail cells! Even older than the church and the jail, Old Talbott Tavern dates back to 1779. Grab a pint in the same spot as big-name historical figures like Abraham Lincoln, General Patton, and Jesse James. The Chapeze House and Wickland, Home of Three Governors, are also notable landmarks worth visiting. Take this self-guided walking tour and hit all the historic hotspots. The real charm of Bardstown goes beyond the small town’s heritage. It’s wrapped up in the welcoming people who make visitors feel like family. It’s infused with the beautiful architecture and traditions of days past, and it’s an absolutely stunning outdoors destination. The real charm of Bardstown will be in the memories you make while you’re with us.